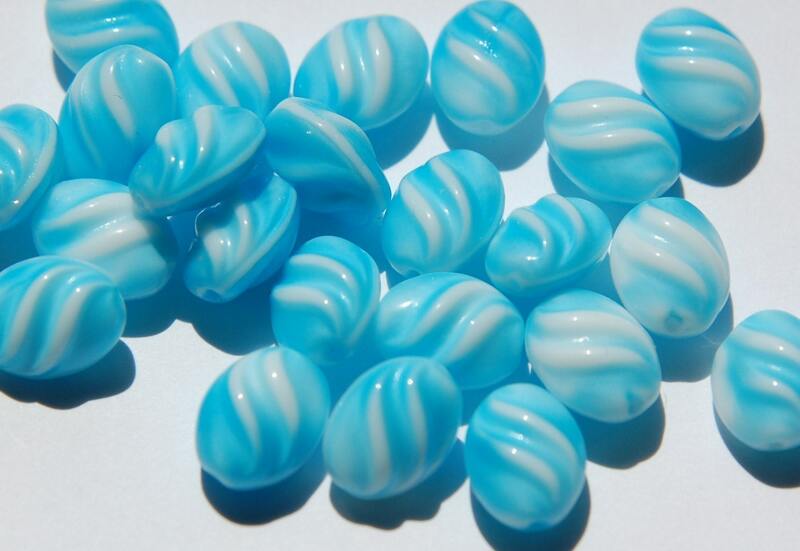 The coloring of these beads looks so fresh and crisp. They are vintage German made glass ovals. They have a twist pattern on both sides of the bead. These measure 12mm x 10mm. You will receive 8 pieces. Beautiful beads. Thanks. Fast delivery. 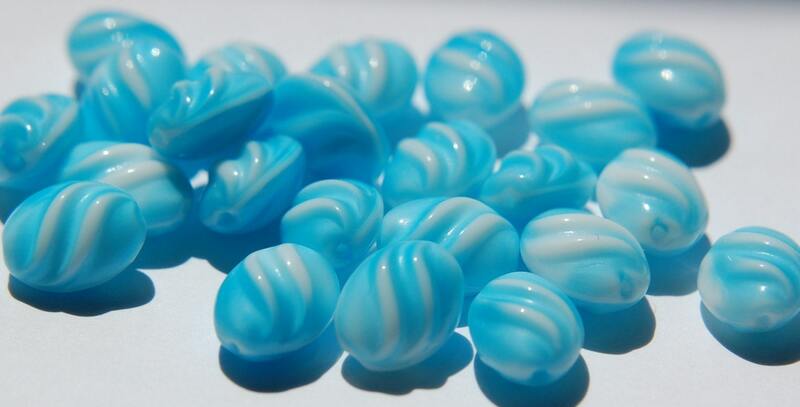 5 stars seller who consistently offers great selection of VTG glass beads. I am a returning customer, do not hesitate to do business with this shop. Thank you.